If you have a dental abscess claim, our experience pays. If you have suffered from a dental abscess and believe it was down to the negligence of your dentist you could have a dental abscess claim for compensation. A dental abscess is an extremely painful infection under the surface of the gums which tends to target teeth roots and the surrounding area. In the early stages of a dental abscess, relatively minor degrees of tooth decay may allow bacteria to get under the tooth and into the roots. Bacteria can over time cause infection which is often highly visible in the form of putrid pus. If the situation goes untreated then it can potentially infect and gradually rot away surrounding soft tissue. This can then lead to other significant health issues some of which may leave a long-term impact. If a dental abscess is diagnosed early enough it is simply a case of draining the fluid from the infected area, injecting antibiotics and repairing any surrounding tooth decay. As the majority of dental patients will at some point have x-rays to check for varying degrees of dental erosion, even early stage abscesses should show up. If your dentist has inadvertently missed the emergence of an early stage, or even late stage dental abscess which has gone on to cause significant pain and additional health issues then you should seek legal advice. Lack of feeling with extreme abscesses (the tooth roots have died) which can lead to more damage. The very fact that early stage abscesses are relatively easy to treat is what for many people makes this situation more frustrating. A simple draining of the infected fluid, injection of antibiotics and a sealing of the damaged tooth will kill the infection. Relatively minor damage to the back teeth can lead to compensation of between £870 and £1,360 per damaged tooth. Loss or serious damage to a front tooth sees compensation of between £1,760 and £3,150. Damage to 2 front teeth is more serious with compensation from £3,470 up to £6,080 available depending upon the severity of the damage. Loss or serious damage to several front teeth often leads to compensation from £6,960 up to £9,100. Significant long-term damage and excruciating pain can lead to compensation awards as high as £30,390. 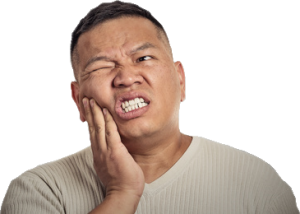 There are a number of other potential complications when it comes to dental abscesses which can lead to additional compensation claims for chronic pain, tissue damage and even scarring. We would advise speaking with a solicitor about your dental abscess injury, this way they can get the full picture and factor everything in that you could claim compensation for. Failure to fully eradicate the original infection which then returns. You will require supporting evidence when looking to prove dental negligence such as a copy of your medical records showing dentist appointments and dental treatments, x-rays which may show the emergence of a dental abscess, witness statements, photographs, and expert observations from industry personnel. In many cases, especially where there have been early x-rays, it can be relatively easy to prove a dental negligence and claim compensation. However, it is highly advisable to contact a personal injury solicitor to review your case, evidence and chances of success. The majority of personal injury solicitors in the UK will have dealt with dental negligence claims fairly regularly. When presented with details of your injuries from a dental abscess and supporting evidence they will be able to assess the strength of your claim. If they advise you to file a dental abscess claim most solicitors will suggest doing so on the basis of a No Win No Fee Agreement.